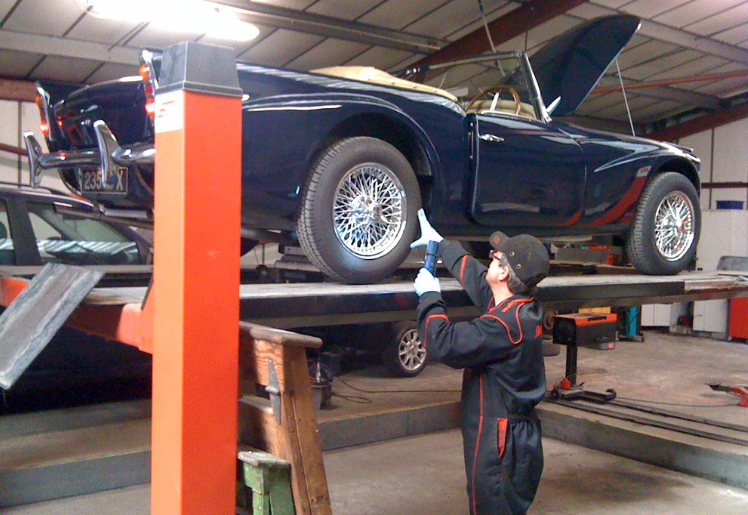 There is little doubt that the main talking point in Classic Car circles over the last six months or so has been the changes to the legislation surrounding MOT’s for our vehicles. Whether we agree with the changes or not, the one certainty is that things will indeed change for us! Last month saw the Government decide to backtrack on the proposed changes to how long a new car needed to wait for it’s first MOT, the DoT initially suggesting that four years was it’s preferred option but then reverting to three years again on the basis safety would be compromised. Strangely, the argument about safety being compromised was the one made by a large majority of Classic Car owners when the proposal to remove the statutory annual MOT test for vehicles older than 40 years old was first mooted ! These will be MOT Failures in all cases and will include faults deemed to cause the car to be ‘an immediate danger’ such as substantial fuel leaks or brake fluid leaks etc. These will also be MOT Failures and will include items that would make the vehicle unsafe to use in the longer term such as lights that don’t work or windscreen wiper blades in poor condition / split. These will not result in a fail but are worth mentioning in much the same way as an ‘advisory’ is currently treated. Items such a slight corrosion (not structural), corrosion on brake pipes or slight movement in joints are the types of things to expect here. But of course cars over 40 years old won’t be obliged to endure this level of scrutiny or indeed any other level according to the statute. There is a movement in the Classic Car world to oppose this but the likelihood is that things will progress as planned, so where does that leave us? Well, as announced late last year, any vehicle over 40 years old can apply to become a Vehicle of Historic Interest (VHI) which automatically exempts them from the requirement to have an annual MOT. Owners don’t have to register as a VHI and can keep the ‘status quo’ if they wish, so why are we concerned? The vast majority of classic car owners are honest, diligent sorts who keep their chosen vehicles in a very good state of repair but are by definition, amateurs who might miss something or not have the equipment to fully check or inspect to the standard a specialist should. There is the question of the small minority who would abuse the loophole and bodge cars up to sell without them having being checked for safety & standard of work. Whilst all of this is opinion & supposition until reality strikes on the 20th May this year, the fears are real and the discussion is one we hear between enthusiasts quite regularly. The Guidance refers to ‘a marque or historic vehicle experts’. A list will be published on the website of the Federation of British Historic Vehicle Clubs by 30 April 2018. Vehicle owners wishing to confirm if they may declare their vehicle as a VHI, may choose to contact the appropriate nominee from this list. If you decide to skip MOTs, then here’s how to check your own car.